Join us for a special celebration in Lake Tahoe this weekend! 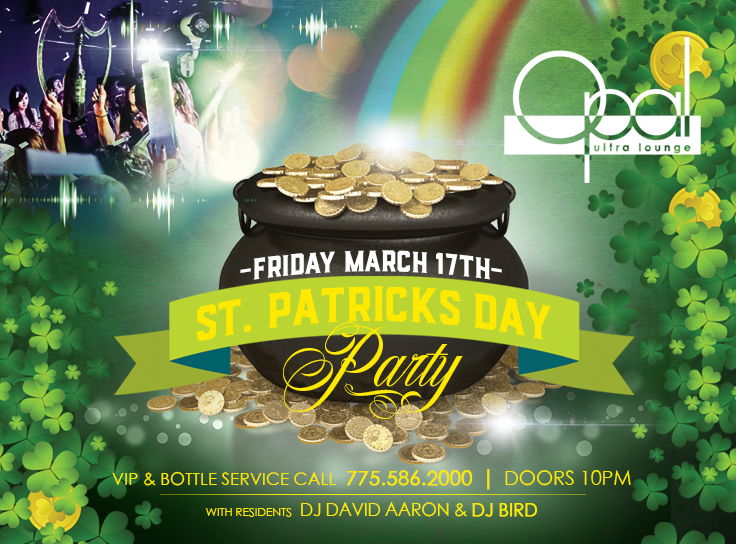 Saint Patricks day is always one of our most favorite events of the year at Opal Ultra Lounge. Coupled with huge snow totals at the ski resorts, this is the PERFECT time to get to Tahoe and enjoy the snow and nightlife!